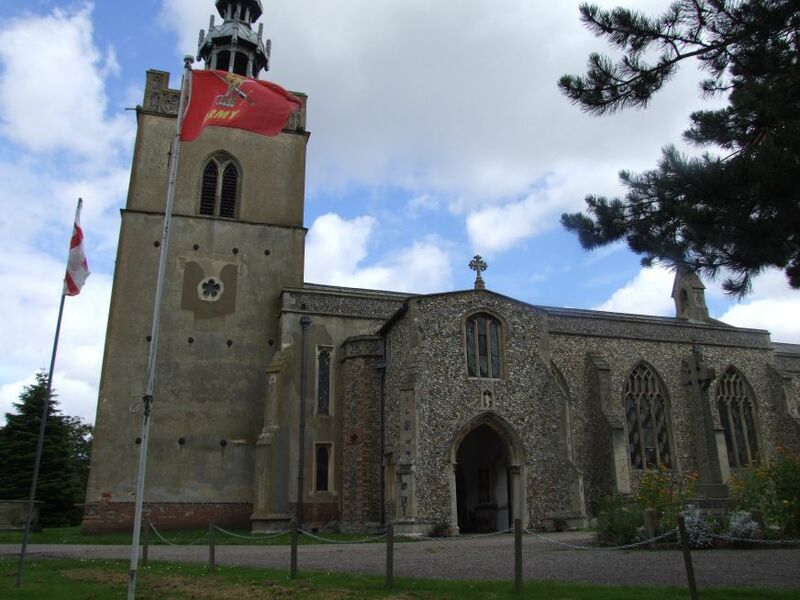 Shipdham is a fairly large, pleasant village on the road between Dereham and Watton, almost exactly in the middle of Norfolk. 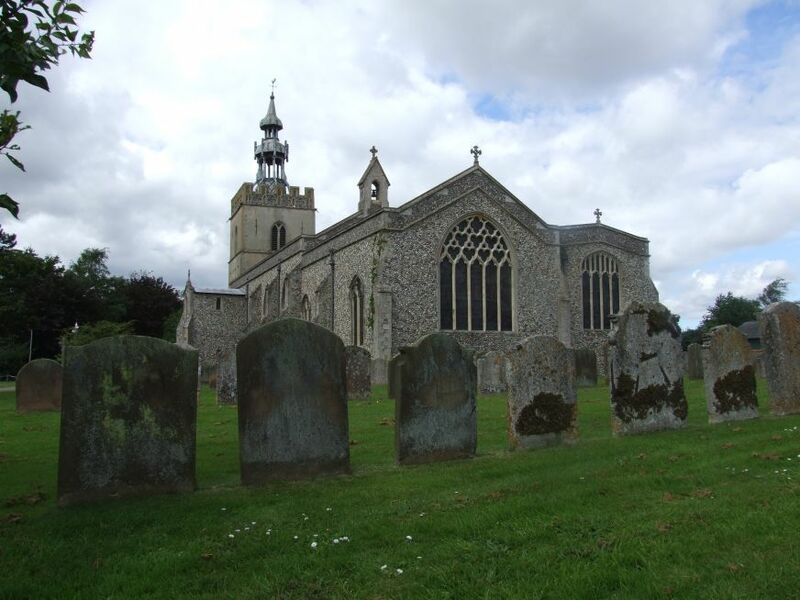 The road cuts down around the graveyard, which is cordoned by a high wall, but peering high above all is one of the most singular church crownings in Norfolk. 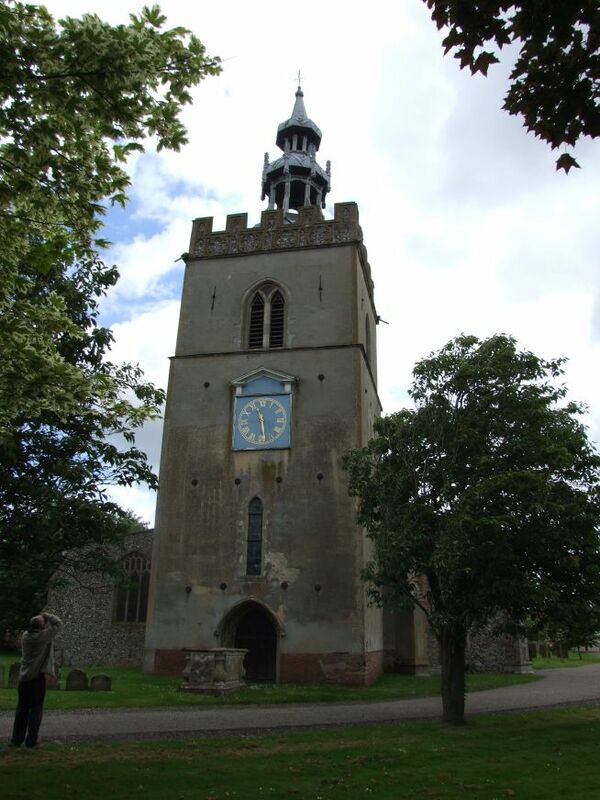 The late medieval tower is surmounted by a great wood and lead fleche, pointing to heaven. It is almost eastern in character, as if borrowed from a Russian orthodox church. I've read various conflicting dates for it, but I wondered if it might be a confection from the early 17th century, possibly to replace a spire that had fallen. This is not a huge church, but it is certainly an imposing one, with a great presence. 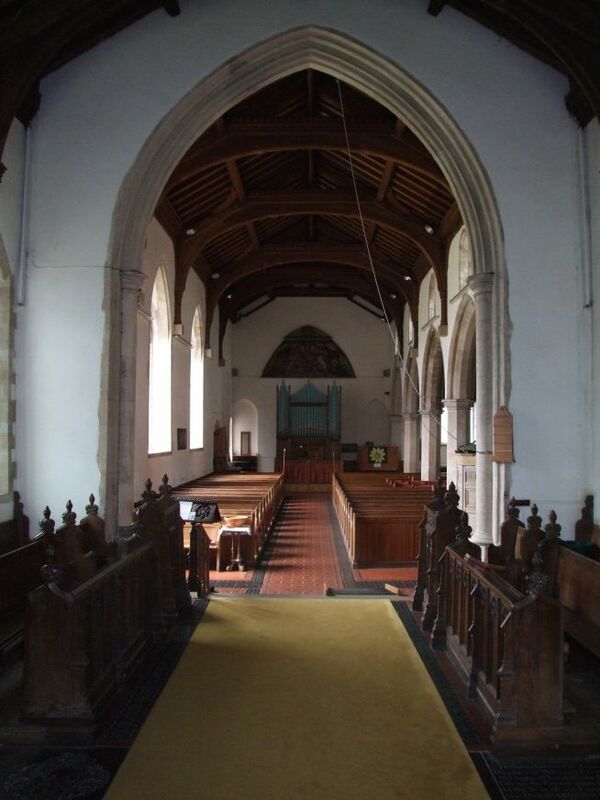 The massive south porch reaches to the roof of the aisle, and as there is no clerestory on this side it seems even larger. As Mortlock pointed out, such a handsome church would not look out of place in a prosperous market town, and I am afraid that the flipside of this is that the interior is also urbanised and rather anonymous. 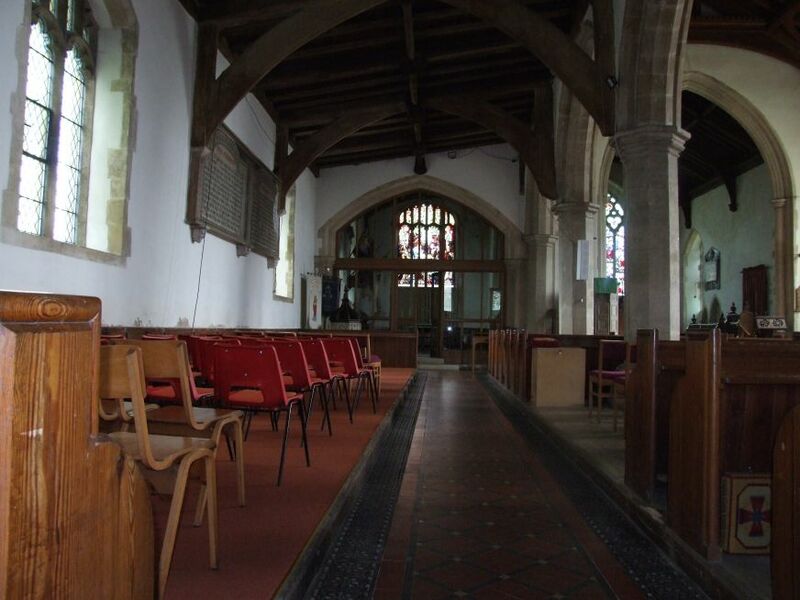 It is essentially a 19th century church within the shell of a medieval one, but it is not without its interesting early survivals. The most unusual feature here is now mounted on the west wall of the nave, above the organ. This is the great tympanum painted with the royal arms of Charles I. They have been updated to the other side of the Commonwealth for Charles II. 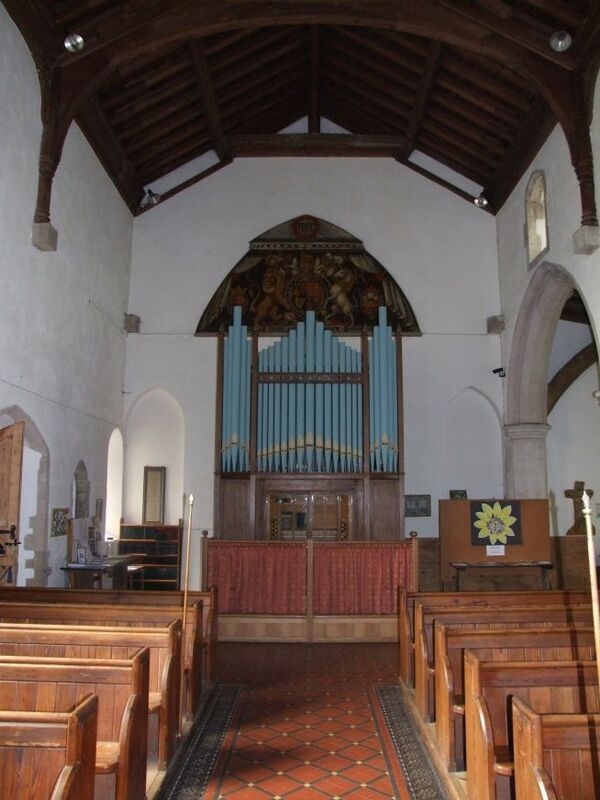 Until the 19th century restoration, it fitted neatly into the top of the chancel arch, and the panelling may be older, possibly originally painted with the arms of Elizabeth I, or even from the pre-Reformation rood. The arms are interesting rather than beautiful, but both those adjectives can easily be applied to the decalogue boards which once fitted beneath it. 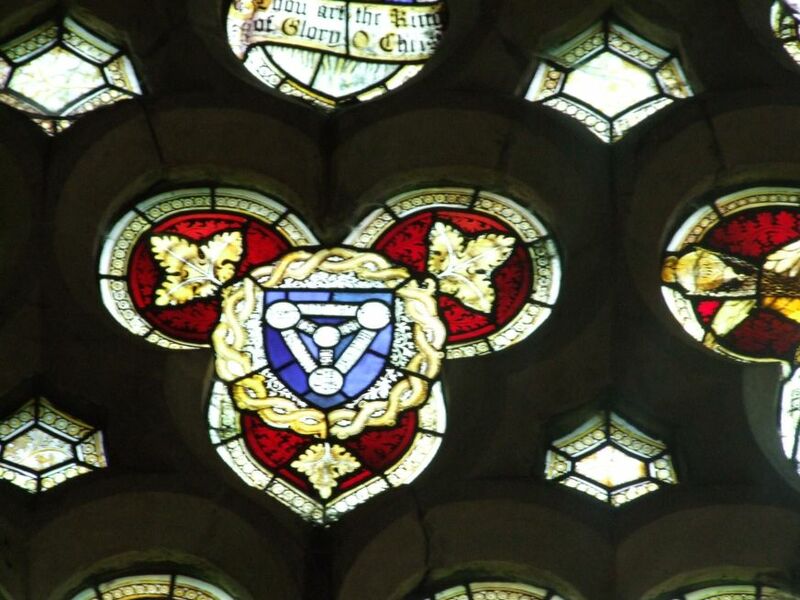 These are now mounted on the wall of the north aisle, and can be examined at close quarters. The date, 1630, reveals the original date of the arms. The corbel heads which support the boards are older, but they are also not in situ. 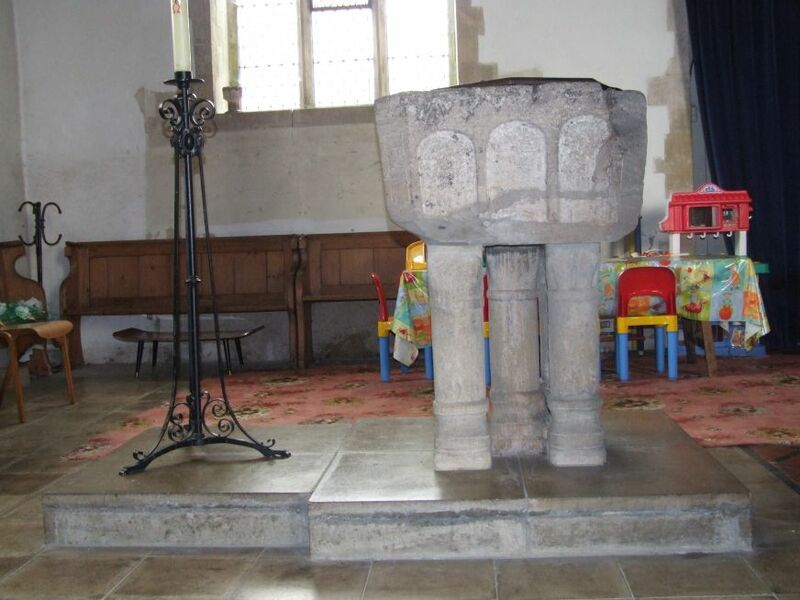 East Anglia has more than its fair share of late medieval latten lecterns, but Shipdham has something a little more unusual. 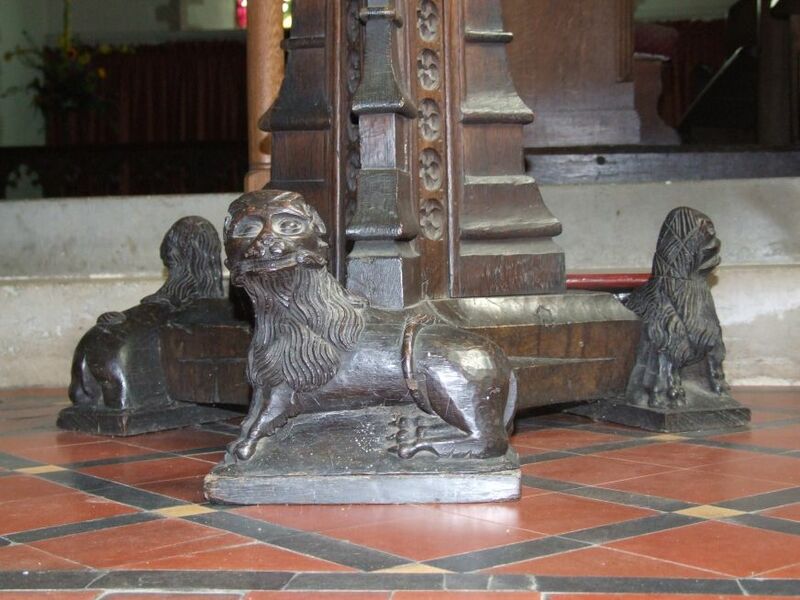 Although it is very similar in appearance, the lectern here is made of wood, with exquisite little lions in the familar style at its feet. It has done tremendously well to survive the wear and tear of half a millennium. 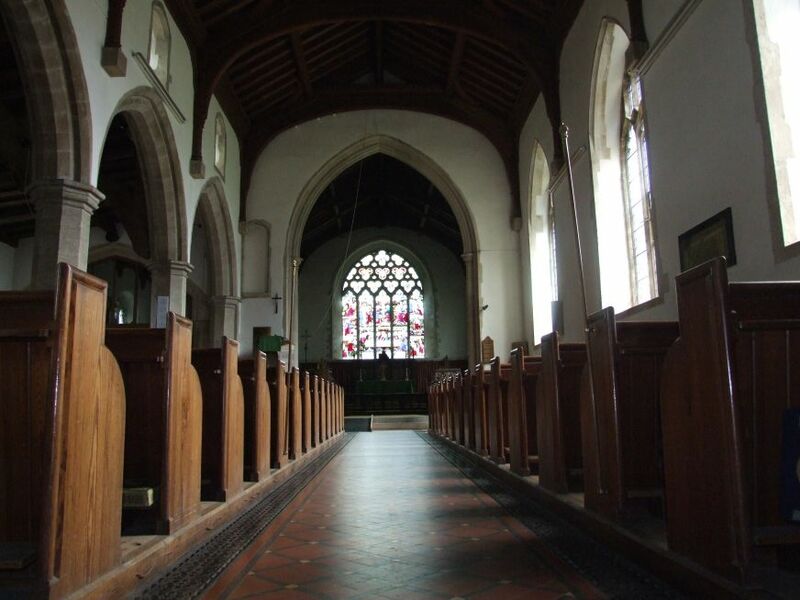 It was probably built during the same decade that the font in the north aisle was being carved. 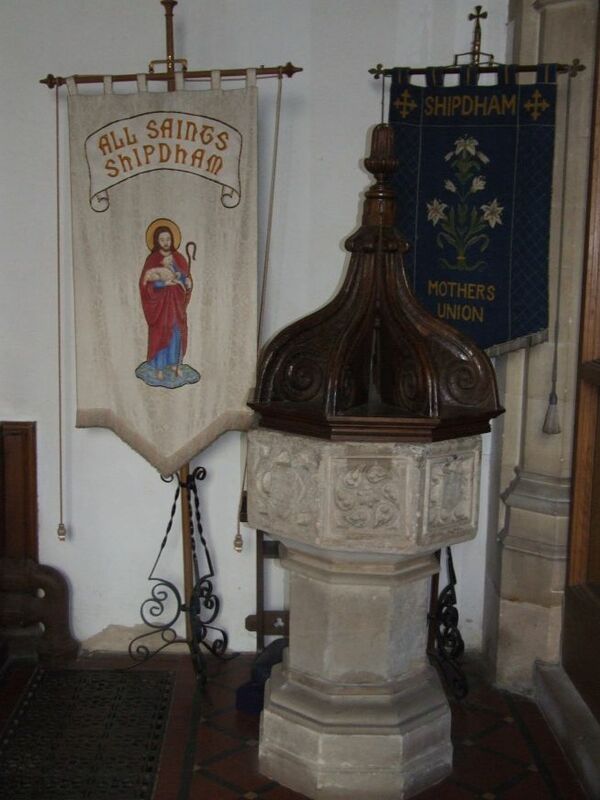 This appears to be the font that was in use here for centuries, but Shipdham has a second font, much older, dating from the Norman period. 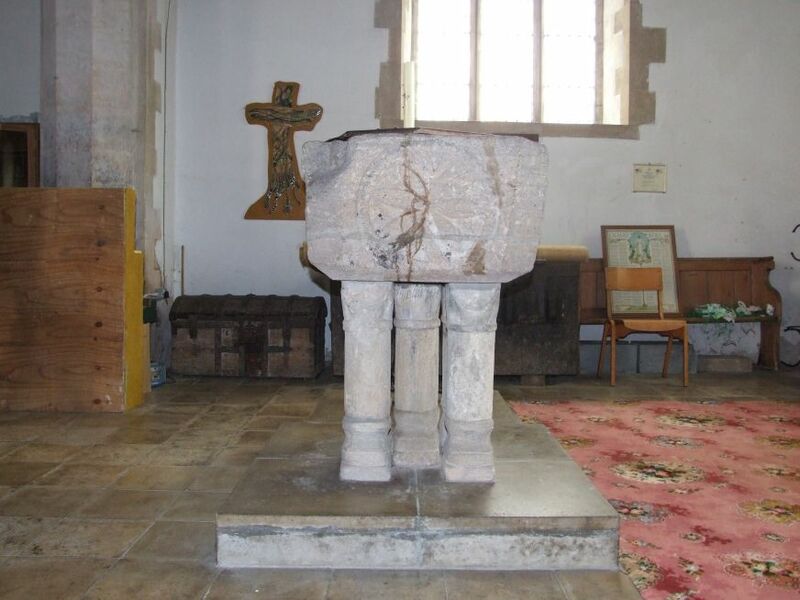 It was supposedly found in a garden in the village, and has now been returned to its proper place at the west end of the church. 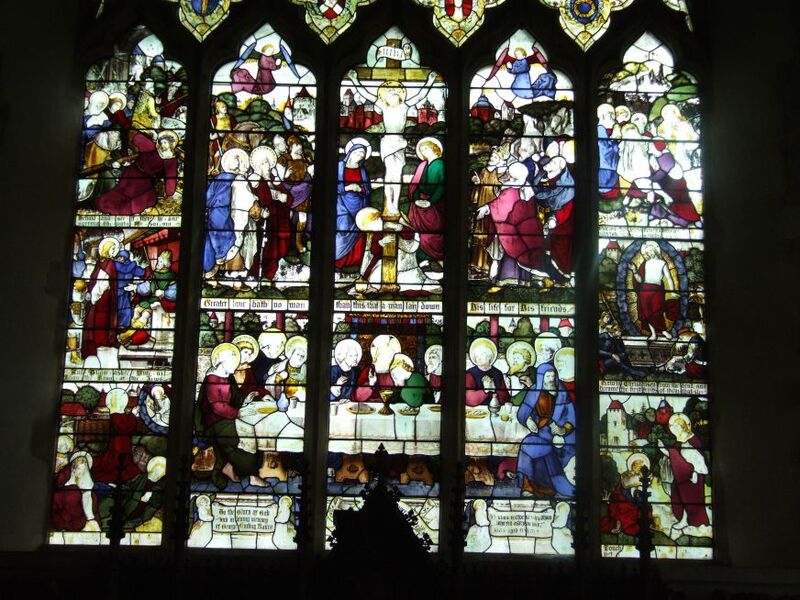 There is some decent 19th century glass, including a tender Nativity scene, with the wise men adoring and offering their gifts, while a little page boy looks on in wonder. 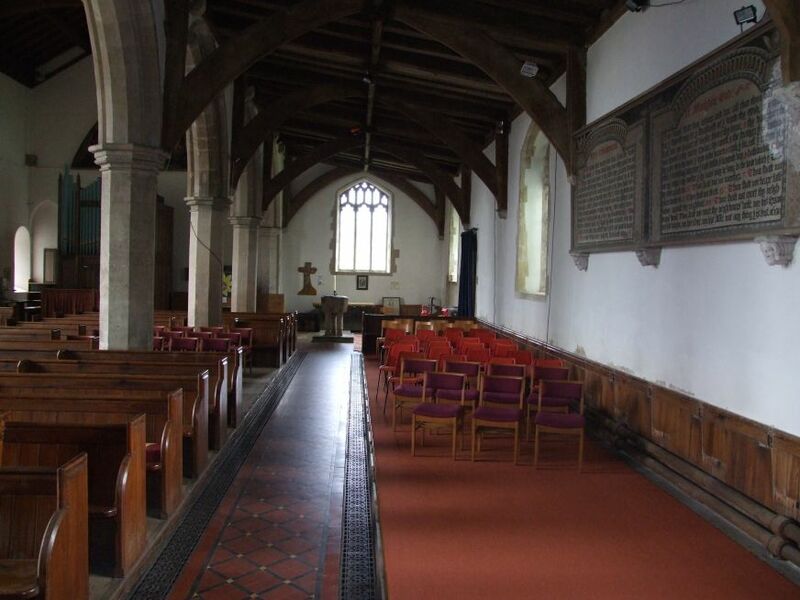 Otherwise, as I said, I fear that the interior feels a touch anonymous, as if we might be in a town church, but it is very well cared for, and pleasant to wander in. 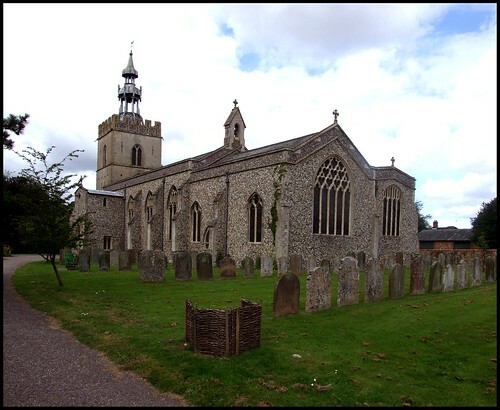 Like many large village churches in Norfolk, it feels a busy place, with lots of local involvement, and it is open every day, so you can't really ask more than that. Finally, no one could come to this church without noting the military presence. 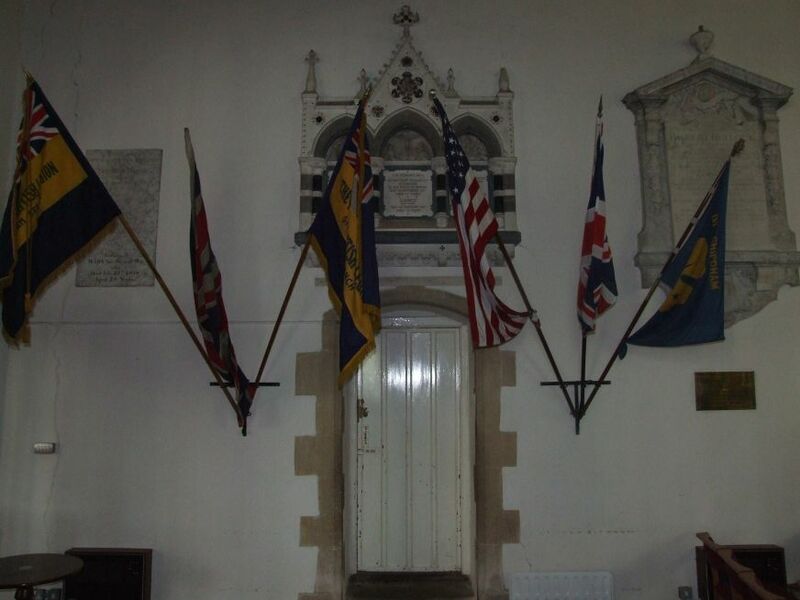 Big flags fly above the war memorial garden outside, and the north chancel chapel is a positive shrine of flags. 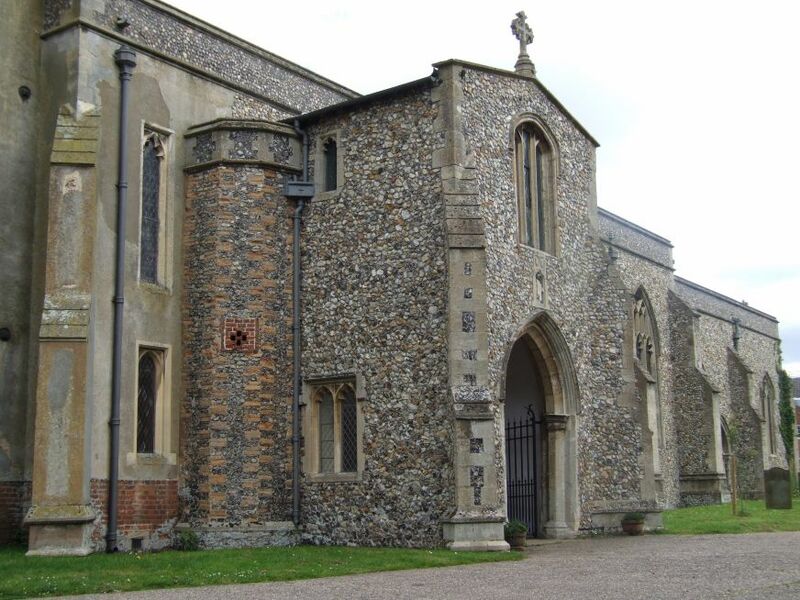 It is likely that they would be the main impression of All Saints that a casual visitor would take away, which is perhaps a pity.